Specially Formulated for Adults Age 50 & Over. 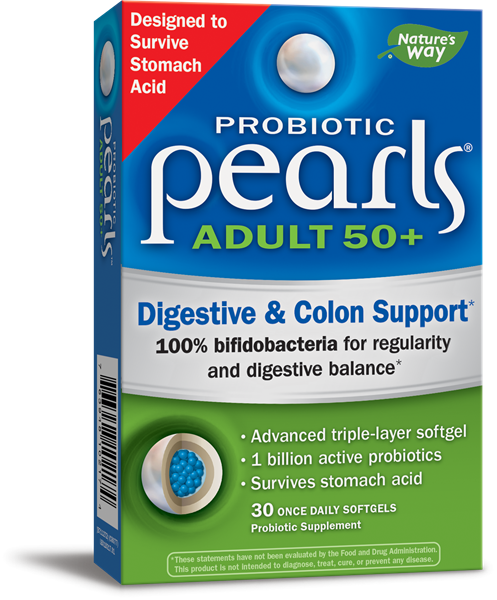 Probiotic Pearls Adult 50+ are made with an advanced triple-layer softgel that protects probiotics active bifidobacteria inside from heat, moisture, air and stomach acid to maximize survival and delivery to the colon. Bl-04® is a trademark of DuPont. Bl-04® is used under license. Does it matter when I take Probiotic Pearls® Adult 50+? Digestive balance is key to overall health and wellbeing. That said, there are many things that can impact the balance of good bacteria in your intestinal tract, including stress, travel, diet and age, just to name a few. That’s why it’s important to replenish your digestive system on a regular basis through a healthy diet, exercise and a probiotic supplement, like one of our unique Probiotic Pearls™ formulas. Probiotics are transient ‘guests’ within our digestive tract. Therefore it’s a great idea to make probiotics a part of your daily routine to help maintain digestive balance and support immune health. * So keep inviting them back – they’re great guests! By definition, probiotics are live microorganisms. As such, moisture, as well as the acidic environment of the stomach, can be detrimental to probiotics. 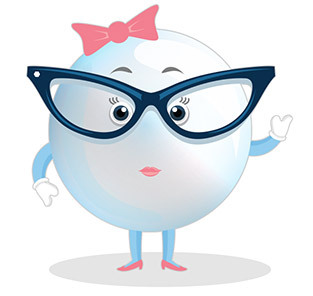 That’s why Probiotic Pearls™ are encapsulated in a triple-layered softgel that helps protect the active cultures from stomach acid. The Pearls triple-layer technology offers superior protection versus standard capsules to better help deliver probiotics to the intestine. Why is a triple layer softgel better than a standard gelatin capsule? The unique triple layer softgel helps protect the microflora from stomach acid and releases them in the intestine. The probiotics in our Probiotic Pearls™ supplements survive these harsh conditions and deliver the healthy flora where you need it. 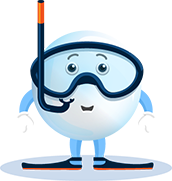 That’s a pretty amazing feat—after all, your stomach is roughly a million times more acidic than water!